Deputy Chief James Bowen joined the fire service in 2004 as a firefighter. In 2006, he was promoted to Lieutenant and in 2010; he was promoted to Deputy Chief. In 2015, Deputy Chief Bowen was hired as a limited-term employee by the Village of Lake Delton as a Housing Inspector, with a focus on student housing. In 2016, Deputy Chief Bowen was hired full-time as a firefighter/fire inspector. 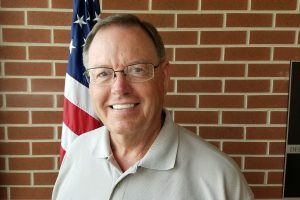 His responsibilities include overseeing department safety procedures, payroll, personnel, communications, fire prevention, fire investigations, and training. 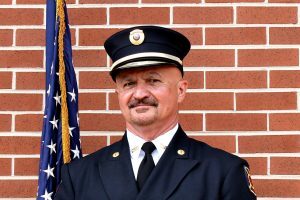 He is State Certified Firefighter Two, Fire Officer One, Emergency Services Instructor and Fire Inspector Two, Rope Rescue Tech One, Hazmat Operations, Driver Operator and Incident Command Systems 400. Deputy Chief Bowen is an active member of the Lake Delton Rope Rescue Team and the Delton Fire Honor Guard. In 2013, Deputy Chief Bowen was the recipient of the William Cole Chief’s Award, he has the distinguished recognition of being Delton Fire Department’s Top Responder for six years, the recipient of the Captain Jerry Sobojinski Peer Award one time, the Lieutenant Ricky Sobojinski Spirit Award six times, and during his first year was awarded Rookie of the Year. In his free time, he enjoys spending time with his supportive wife Danielle and children Haley, Noah, and Layla. Deputy Chief Nathan Heit joined the fire service in 2013 as a firefighter. In 2015, he was promoted to Lieutenant and in 2018 was promoted to Deputy Chief. His responsibilities include overseeing department operations and training. He is State Certified Firefighter Two, Fire Officer One, and Emergency Services Instructor. Deputy Chief Heit is an active member of the Delton Fire Honor Guard, Lake Delton Rope Rescue Team, and the Department’s Training Officer. Deputy Chief Heit is a veteran of the United States Army, where he served as an Airborne Combat Engineer and was on the Technical Rescue Team. He was deployed for fourteen months to Iraq where he received a Purple Heart for a combat related injury. During his service with the Army, he attained the rank of Sergeant and received extensive training and experience in technical rescue and extrication (collapse, vehicle, underground). Deputy Chief Heit earned a Bachelor’s Degree from American Military University in Emergency and Disaster Management. Deputy Chief Heit dedicates a great deal of energy to training and physical fitness. In his spare time, he enjoys woodworking projects and spending time with his wife Katie and friends. Captain Kenneth Harding joined the fire service in 2002 as a firefighter. In 2007 he was promoted to Lieutenant, and then to Captain. In 2010, he was promoted to Deputy Chief. 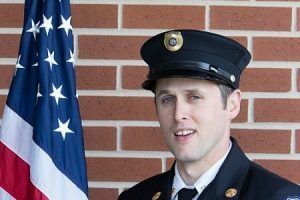 Captain Harding resigned to pursue a fire career in Arizona but missed Delton Fire Department so much he returned a year later. In 2013, he was promoted to Lieutenant and in 2015 promoted to Captain of the Rescue Department. He is State Certified Firefighter Two, Rope Rescue Tech 3, Fire Inspector, and Fire Officer One. Captain Harding received the Captain Jerry Sobojinski Peer Award one time, the Lieutenant Ricky Sobojinski Spirit Award two times, was the Top Responder one time, and recognized as Rookie of the Year during his first year of service. He is a small business owner and enjoys spending time with his wife Rosa, children Adam and Eden, and grandson Alexander. Captain Kevin Foster joined the fire service in 2011 as a firefighter. In 2013, he was promoted to Lieutenant, and then in 2018 was promoted to Rescue Captain. In 2018 Captain Foster was also hired full-time by the Department, his duties include building and vehicle maintenance, new construction fire inspections and plan review. Captain Foster is State Certified Firefighter Two, Fire Inspector, and a graduate from the MATC Fire Academy. Captain Foster was recognized as Rookie of the Year during his first year of service. 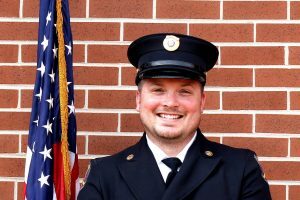 Captain Foster also possesses an Associate’s Degree in architecture where he used those skills to assist with the design of the new Delton Fire/EMS Facility. In his free time, he enjoys being with his loving wife Callie and their daughter Aubrey and sons Casen and Colton. 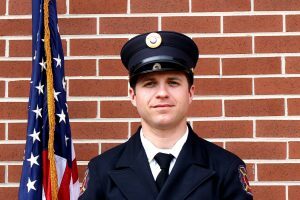 Lieutenant Benjamin Ziech joined the fire service in 2010. He is State Certified Firefighter Two, Fire Officer One and completed training as a Driver Operator, Hazardous Material Operation and Incident Command Systems. He is a Chef by trade and enjoys spending time with his wife Alyssa and daughters Abigail and Riley. Lieutenant Louie Filipovich joined the fire service in 2011. In 2013, he was promoted to Lieutenant and currently serves the Engineering Department. He is State Certified Firefighter Two. 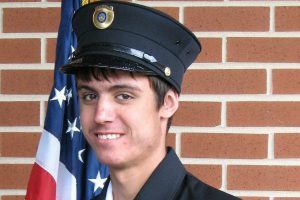 He is active with the Delton Fire Honor Guard Team. In 2011, Lieutenant Filipovich was the recipient of the William Cole Chief’s Award. He works full-time as a Pit Boss at a local casino and during his spare times enjoys spending time with his wife Kathy, staying physically fit and riding his Harley. 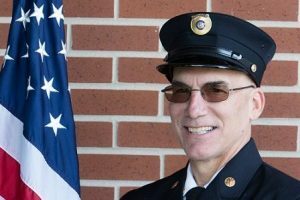 Lieutenant Jerry Nabar joined the fire service in 2012. In 2018, he was promoted to Lieutenant and currently serves the Engineering Department. 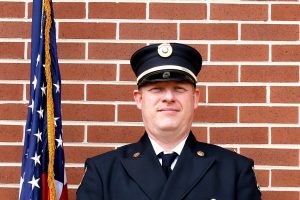 He is State Certified Firefighter Two and Fire Officer One, and completed training as a Driver Operator, Hazmat Operations, and Incident Command System 300. He is a small business owner and enjoys spending time with his wife Deadri, son James and daughters Tabby and Sammie. Lieutenant/Investigator Josip Sabol joined the fire service in 2014. 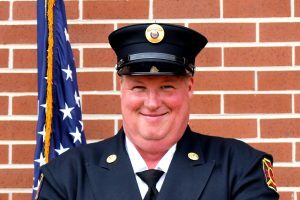 He is State Certified Firefighter Two, Fire Officer One, EMT – Advanced, TEMS, IAAI-FIT and completed training as a Driver Operator, Hazmat Technician, and Incident Command System 300. Lieutenant Sabol also serves as the Department’s Lead Fire Investigator. In his free time, he enjoys riding his Harley and spending time with his wife Amanda. Firefighter Ted Masters joined the fire service in 2002. He is State Certified Firefighter Two, Rope Rescue Tech Two and completed Hazardous Materials, Driver Operator and Incident Command Systems training. Ted served as Lieutenant, Captain and President of the Department Fundraising Committee. 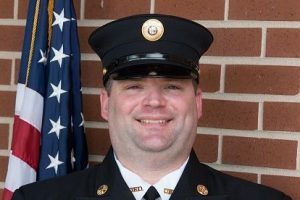 Firefighter Andy Polubinsky joined the fire service in 2006. 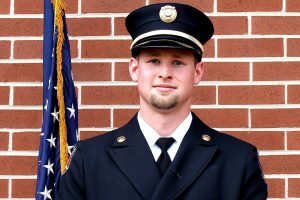 He is State Certified Firefighter Two and Rope Rescue Technician Three and completed training as a Driver Operator. Firefighter Polubinsky was recognized as Rookie of the Year during his first year of service. Andy also held the position of Lieutenant. He is a small business owner and enjoys spending time with his son Parker. 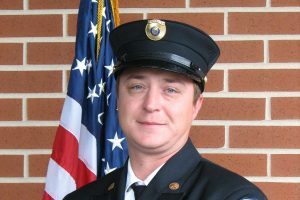 Firefighter Brian Livingston joined the fire service in 2010. 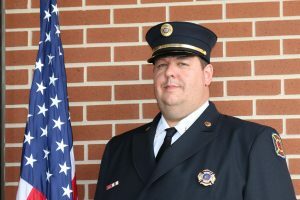 He is State Certified Firefighter Two and Fire Officer One, and completed training as a Driver Operator, Hazmat Operations, and Incident Command Systems training. Brian is an Electrician by trade and he enjoys spending time with his wife Marisa and son Connor. Firefighter Mitchell Piotrowski joined the fire service in 2012 as a firefighter. He is State Certified Firefighter Two. In his first year with the department, Mitchell was recognized as the Rookie of the Year. Outside of his busy work schedule, he stays active going to hockey games with his two young boys and enjoys spending time with his wife and daughter. Mitchell has also held the position of Lieutenant. Firefighter Greg Lagoda joined the fire service in 2013. He is State Certified Firefighter One and completed Hazardous Material Operations, Driver Operator and Incident Command Training. Greg is a small business owner and in his free time enjoys spending time with his wife Jen. Firefighter Alex Galeros Joined the fire service in 2013. 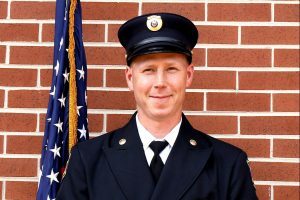 He is State Certified Firefighter Two, Fire Officer One, EMT-B, and has completed Driver Operator, Hazmat Operations, Incident Command Systems training. Alex currently serves as the Secretary/Treasurer for the Department Fundraising Committee. Alex enjoys spending time with his supportive wife Elena and their dog Tank. Firefighter Jeffery Boyer joined the fire service in 2013. He is Entry Level Firefighter and completed Incident Command System Training. Firefighter Boyer is a Veteran of the United States Army and serves as the Commander at the Wisconsin Dells V.F.W. 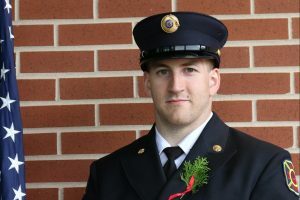 Firefighter Michael Bondi joined the fire service in 2014. He is State Certified Firefighter Two and completed Hazmat Operations, Driver Operator, Incident Command System 300 training. Firefighter Bondi is an active member of the Fire Department Honor Guard and Lake Delton Rope Rescue Team. Michael served as Secretary/Treasurer for the Department Fundraising Committee, and was recognized as Rookie of the Year during his first year of service. 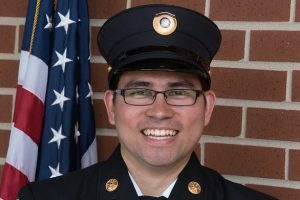 Firefighter David Abangan joined the service in 2016. 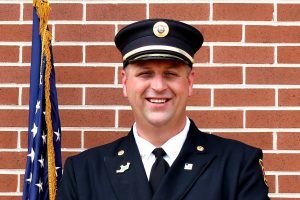 He is State Certified Firefighter One, certified Hazmat Operations, completed Incident Command System 300 and Wisconsin Emergency Management Public Information Officer training. David has been a marketing manager for a local business for over 18 years. During his free time he enjoys outdoor activities and spending time with his two daughters. 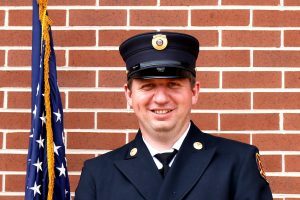 Firefighter John Undraitis joined the fire service in 2016. He is State Certified Firefighter Two, Fire Officer One and Fire Inspector One and completed Hazardous Material Operations and Incident Command Systems training. He works for a local resort and enjoys traveling in his free time. 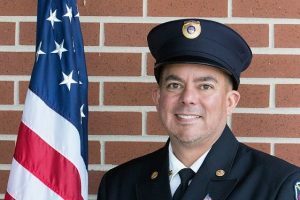 Firefighter Alejandro Amaya joined the fire service in 2016. He is State Certified Firefighter Two and completed Hazmat Operations training. Alejandro earned the Rookie of the Year Award during his first year of service. Alejandro is an active member of the Lake Delton Rope Rescue Team. He enjoys spending time with his wife Heather, son Mikolaj and daughters Jaelynn and Julia. 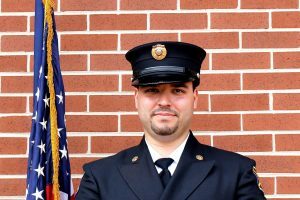 Firefighter Edward Giannoni joined the fire service in 2016. He is State Certified Firefighter Two and completed Hazardous Material Operations and Incident Command Systems training. He is an electrician by trade and enjoys spending time with his wife Amanda and son Logan. 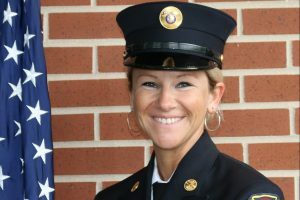 Firefighter Robin McDonough joined the fire service in 2016. He is State Certified Firefighter Two and completed Hazardous Material Operations and Incident Command Systems training. In his free time, he enjoys spending time with his wife Nickie. 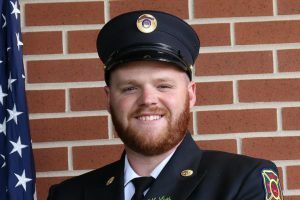 Firefighter Garrett Watson joined the fire service in 2017. He is State Certified Firefighter One and completed Hazardous Material Operations, Driver Operator and Incident Command Systems training. Firefighter Watson is an active member of the Lake Delton Rope Rescue Team. Garrett is a small business owner and enjoys spending time with his wife Adrianna. 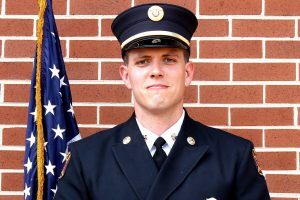 Firefighter Jacob Weiland joined the fire service in 2017. He is State Certified Firefighter One and completed Hazardous Material Operations and Incident Command Systems training. Firefighter Weiland is an active member on the Lake Delton Rope Rescue Team. He enjoys spending time with his wife Kelly, son Jayden and daughter Kaydence. Firefighter Ashley Hartman joined the fire service in 2017. She is State Certified Firefighter One and completed Hazardous Material Operations and Incident Command Systems training. Firefighter Hartman is an active member on the Lake Delton Rope Rescue Team. In her free time, she enjoys spending time with her daughters, Kaleigh and Alexis. Firefighter Jordin Raddatz joined the fire service in 2017. He is State Certified Firefighter One and completed Hazardous Material Operations and Incident Command Systems training. He is a small business owner. 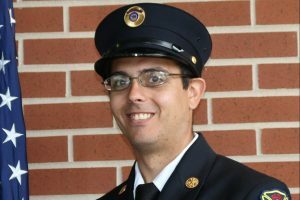 Firefighter Jonathan Bondi joined the fire service in 2017. He is State Certified Firefighter One and completed Hazardous Material Operations and Incident Command Systems training. He is a small business owner and enjoys spending time with his son Eric and Fiancé Shannon. 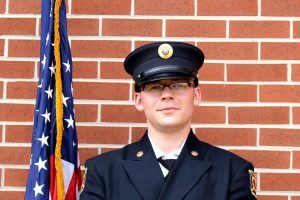 Firefighter Jeremiah Johnson joined the fire service in 2018. He is Entry Level Firefighter and completed Incident Command Systems training. He enjoys spending his free time with his wife Sarah, son Rudy and daughter Payton. 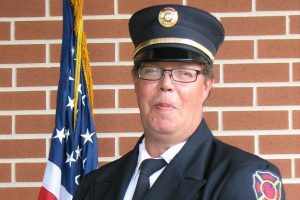 Inspector Jerry Wolfram was hired by Delton Fire Department as a contracted Fire Inspector in 2011. He is a state certified Fire inspector I and a Fire Detection, Prevention & Suppression Inspector. Inspector Wolfram conducts regular fire inspections as well as fire and life safety plan review. He is active in the Wisconsin State Fire Inspector Association and was named Inspector of the Year in 2012. 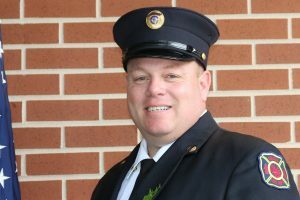 He also serves as the Fire Inspector for the Kilbourn (Wisconsin Dells) Fire Department and served on the Kilbourn Fire Department as a volunteer firefighter for fifteen years. He is a lifelong resident of Wisconsin Dells, growing up in the family motel business, owning, and operating that business for twenty-five years. He served for twenty years on the Board of Directors of the Wisconsin Dells Visitor & Convention Bureau and eight years as third ward City Council Alderman in the City of Wisconsin Dells. Inspector Wolfram is well known for his creative and entertaining fire prevention presentations each year at area schools with singing songs and playing his harmonica.